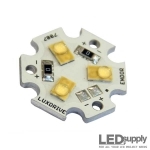 Neutral-White Luxeon R High Flux LED emitter re-flowed to a LUXdrive metal core printed circuit board (MCPCB) '1-Up LED Star'. 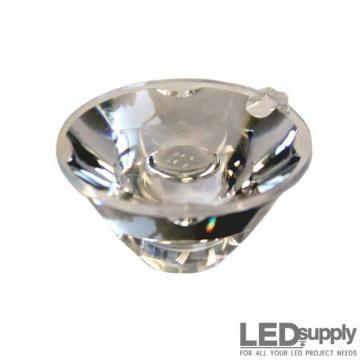 Color Luxeon Rebel Emitters; available in Deep-Red, Red, Red-Orange, Amber, Green, Cyan, Blue and Royal-Blue. 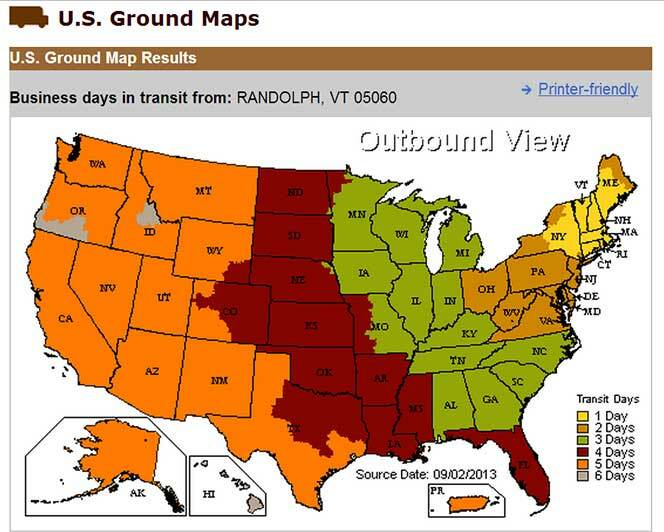 White Luxeon Rebel Emitters ranging from warm-white (2700K) to Cool-White (6500K) correlated color temperatures (CCT). 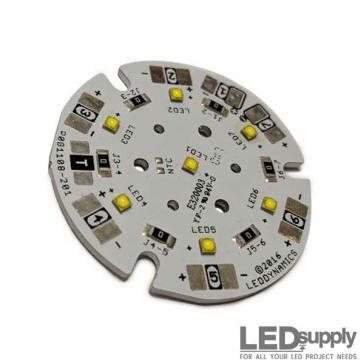 What is the history of Luxeon LEDs? 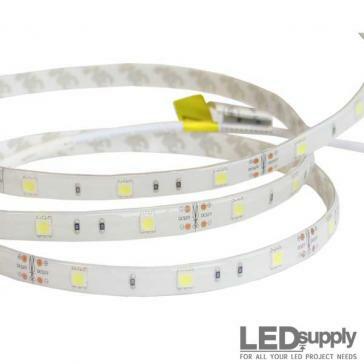 What is the brightest Luxeon LED? 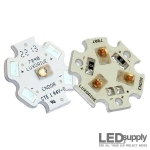 Luxeon is the trade named coined by Philips LumiLEDs company for their high-power LEDs. 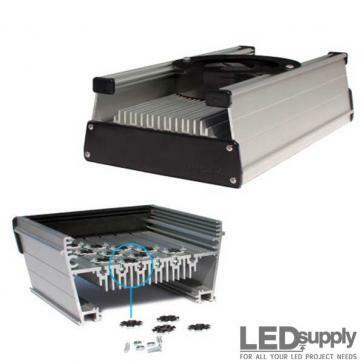 The original high-power LED was the Luxeon I, rated for approximately 1-watt. 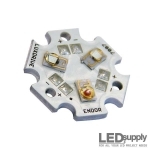 Like the Luxeon III and Luxeon V, these LEDs were meant to be surfaced mounted on a metal-core circuit board (MCPCB). 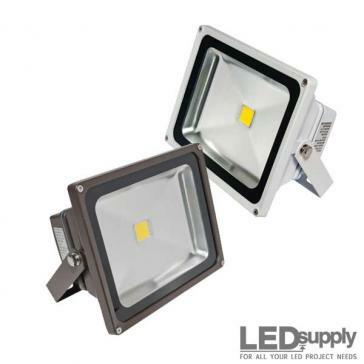 The next generation from Luxeon was the K2 LED. 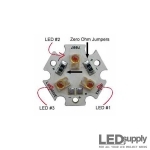 The K2 exceeded the output and maximum drive current of the original Luxeon LEDs and were able to be re-flowed and mounted to MCPCB as well as FR-4 PCB material. 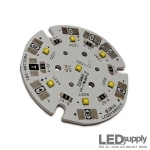 The size and production cost were limiting, hence the smaller, brighter and less expensive Luxeon Rebel was released. 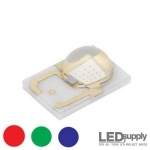 The ceramic chip Luxeon Rebel LEDs at 3mm X 4.5mm use a electrically isolated thermal pad and provided a competitive product that replaced all previous Luxeon LEDs. 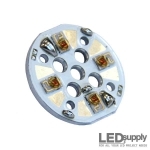 The brightest single source Luxeon LED we carry is the Cool-White Luxeon Rebel star part# 07040-PW750-N, but this LED can also be re-flowed in a 'triple' or '3-Up' configuration (#07007-PW750-N), effectively tripling the lumens. 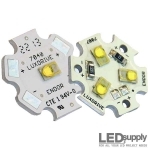 Capable of over 2500 lumens the COB Luxeon K LED Array is by far the brightest multi-chip Luxeon LED (#LUXEON-K-COBWW12). 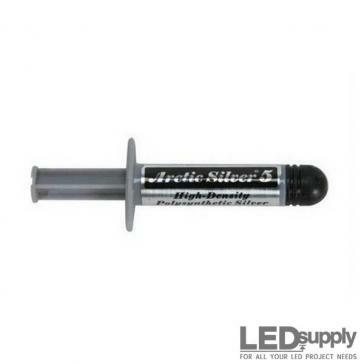 Do you offer optics for the Rebel LED? 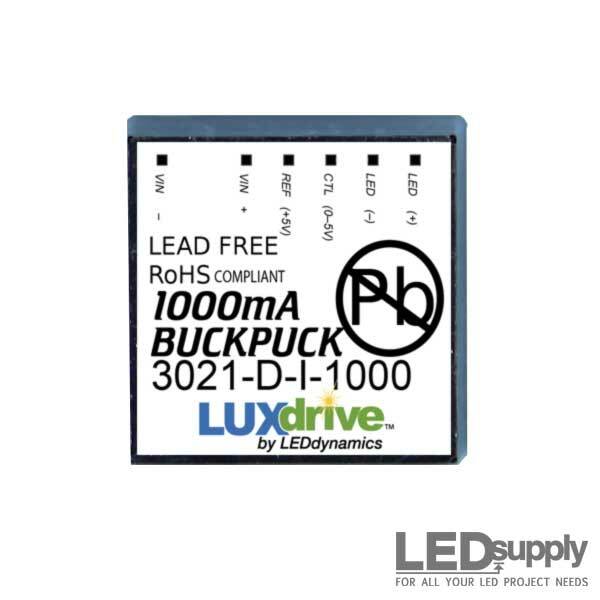 Luxeon LEDs exceed Energy Star requirements, are lead and mercury free, and are REACH and RoHS compliant - eliminating troubles with regulations and government mandates. 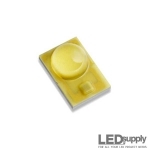 In addition to third party testing and strict manufacturing safety regulations, Luxeon prides itself on approaching the design of their LEDs with care in regards to both light output and color quality. 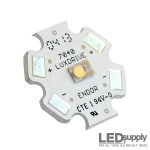 Luxeon claims the Luxeon Rebel LED is the most widely used LED available. 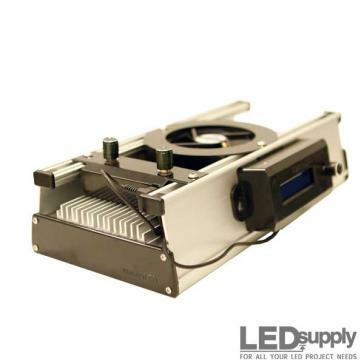 Carclo Technical Plastics (Carclo) based in the United Kingdom is our primary source for secondary optics and reflectors; their molded poly-carbonate technology performs well in high temperature applications. 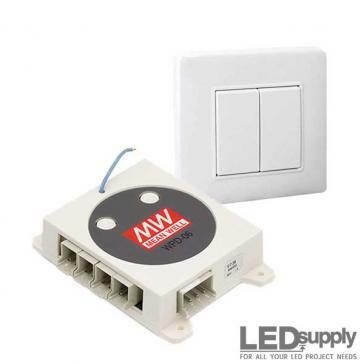 We offer both single, triple and quad optics to match with the different board designs. 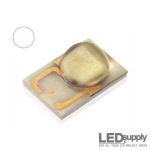 Soon, we will expand our offering with Khatod optics and reflectors, an industry leading manufacturer of optoelectronic products and components.